The university of Ibadan is a beloved university and chosen institution for plenty of education seekers. Especially those from the southwest, NorthCentral, southeast and South-south and other regions in Nigeria. We can’t really blame them because the university of Ibadan offers them variety of courses to pick from. The university of Ibadan postgraduate Admission enrollment constitute about 40% of the total amount of student enrolled each year. Out of this 40% about 7,000 are masters degree students. You might be invited for an interview, although not all departments conduct interviews. You ought to download a referee which should be completed and upload online with your relevant credentials. The university of Ibadan offers about 3 well known types of admission, we are not only going to list them but we shall also take time to explain them. 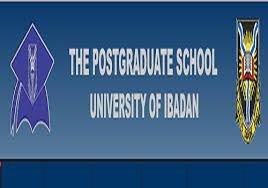 Full time admission: before you will be admitted into the university of Ibadan school of postgraduates studies as a full time student you need to prove that you are unemployed under the current year. Although there is still a window that allows applicants who are employed to apply only if they show a prove that they are permitted to apply. Part time admission : this program is mainly open for lecturers, and those who have taken permission from their places of work. Admission as Occasional student: here students and prospective candidates won’t be offered any degree upon graduation. We have taken time to explain the different type of postgraduates admission that the university of Ibadan offers, it is also okay if you get to know the duration each of this program will take. In UI each of the programs will take you a minimum of 2 years to complete, there are some that will take you more academic session like that of Doctor of philosophy will take you a maximum of 6 academic semesters. c) Postgraduate Diploma (PGD) Minimum of four (4) Academic Session and Maximum of six (6) Academic Session. Please note that each year is made up of 2 semesters and 2 semesters makes up an academic session. If you choose to study any MSc program in the university of Ibadan (UI) you will have to spend good 18 months. To quickly process your admission application form for any postgraduate course it is best you apply online…. Please do not forget that you will pay a non refundable fee (acceptance fee) 30,000.